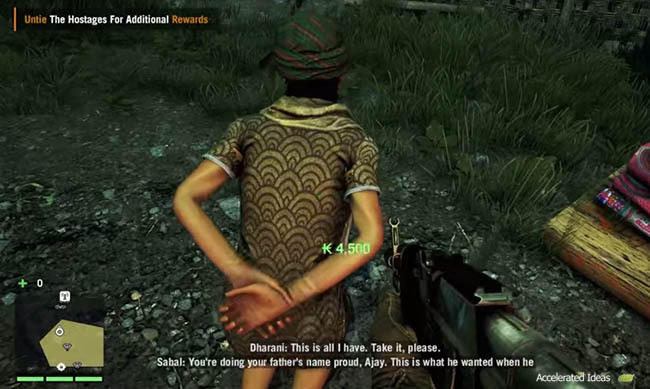 Far Cry 4 vendors offer a variety of purchasable weapons and equipment that you can buy using your hard-earned money (K Rupees). These include different types of weapons, consumables, maps and of course signature weapons. Earning money can be a tedious task so take a look at the tips below to help you make more money in the game. The crucial time to earn money is at the start of the game. As you progress further into the Campaign Missions and unlock more areas of the map, money becomes less of a problem and upgrades start to become the focus. Therefore, spend your money wisely early in the game. Take some time to learn about the different quests and hold back on any purchases until you've read the tips below. 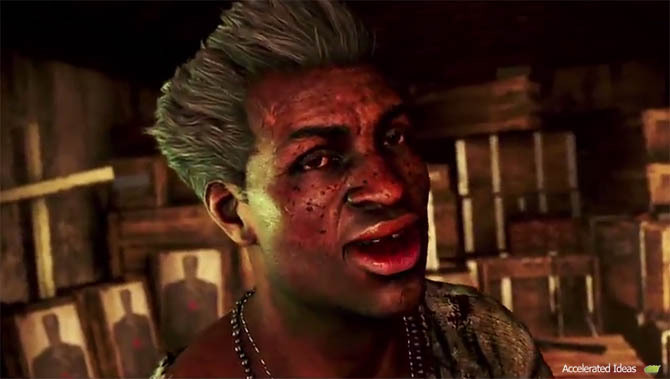 In Far Cry 4 you'll be frequently rewarded for completing missions, quests and liberating any of the Bell Towers and Outposts. These rewards include XP, weapons and money. For additional Rupees you can sell any of your inventory items for cash at Trading Outposts. Whether you've just completed a mission or are in the middle of another, take some time to search the local area for loot and money, in particular chests. You'll be surprised just how much money is lying around inside buildings and houses. Even silly things like photo frames can earn you cash along the way. Although most chests will contain ammo and small collectables, there are some which contain rare Emeralds. These can sell for around 45,000 per Emerald making them the quickest way to earn money in the game. Scavenging dead bodies (both human and animal) and finding chests will reward you with loot. Sell this loot to vendors and make some easy cash on your travels. To make things easier and avoid repeated visitors to the vendor, upgrade your Loot Bag so you get more slots to carry more loot. Unless you desperately need to buy a new weapon, try and hold out for a few more Bell Towers. The reason is because the rewards for taking down a Bell Tower can include new weapons, thus saving you the hassle of unlocking weapons with money. Also try and scavenge from dead bodies because you can unlock weapons by picking them up rather than needing to spend money. Buying maps is a great way to find the exact location of chests and other items. Although maps cost quite a lot of money the return on investment will well worth it if you open all the chests in the area. If you don't want to buy the maps then check out YouTube videos for the exact chest locations and save yourself even more money. 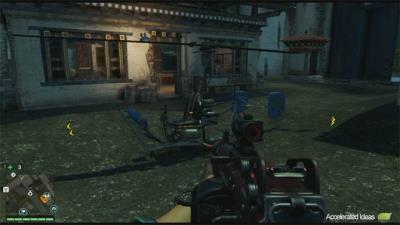 There are three different "map regions" that you can buy in FC4, they include South, Mid and North Kyrat. You can also buy maps which reveal item locations, masks and places of interest. Buying the loot map will reveal at least 30 chests in that particular region and there location is highlighted on the map by a little diamond. The rewards from finding all of the chests will greatly outnumber the cost of purchasing the map in the first place. There's no need to buy medicine from vendors because you can craft syringes to restore your health. Just collect the green coloured plants from the regions you explore and then craft those into medicine using the crafting screen. Thanks to frequent checkpoints and a low enemy count there's no need for medicine early in the game but it does become more important later in the game. This is most true when Outposts contain a larger number of enemies or you're competing in the Arena. This tip won't help you earn more money but it'll certainly help you avoid losing any. Upgrade your wallet using animal hides so you can carry more money. There's nothing worse than losing out on money because you don't have any more space. The little Green and Blue icons on the map represent challenges with the potential to reward you with money. Some challenges involve gambling so make sure you save your progress before you start and wipe should you lose the challenge. There are a variety of other side quests which include Golden Path quests and Kyrati Films mini-challenges. Some examples include animal hunting quests, bomb diffusing, hostage rescue and racing. In particular, the Kyrati films challenges have money rewards depending how well you do. Check the upgrade paths for your items and you'll know which animal skins you can safely sell off. There's no point lugging that stuff around if you can make a tidy profit out of it. Additionally, you can go on a hunting trip to increase your animal hides and earn some quick and easy cash. Check which animals give you the most profit and then head to that region to start hunting. I found that Leopard skin was particularly valuable at around 8,000 per skin but other rare animals will eanr you more. Certain skills will help you earn money a little fast, but they're locked later in the game when you might not need it. For example, there is a skill which will automatically loot enemies during takedowns. That might not earn you more money but the amount of time you save you can invest in other money earning activities. If you partake in Karma events then you can increase your Karma Level to a point where a 25% discount is applied at all Trading Posts. When purchasing the expensive weapons, and in particular ammo refills for them, you will appreciate this considerable discount. Use ammo supplies and pickups instead of buying ammo. Although you can get a small discount at the vendors you're better off working through the Outposts where ammo caches are common. Just make sure you pick them up before the Outpost turns friendly otherwise it may disappear for good. There's also a steady supply of ammo during campaign missions, particularly those where you need to fend off the enemy for a short duration. Take the time to restock at the end of these missions to get the benefits.